The origins of this Portland, Oregon band go back to 1957 when Lynn Easton and some of his pals from David Douglas High School formed a band which played at local dances and fairs and was a little unusual for featuring a small church type organ in its act. This phase in their career lasted until about 1962 when they got one of their early breaks. Ken Chase, Musical Director for KISN spotted them playing at a Portland teen club called The Headless Horseman and offered them a residency at his own bigger club, The Chase. They remained the house band there for a whole year. Then in 1963 Ken Chase helped them cut some audition tapes at the Old Northwest Recording Studio. 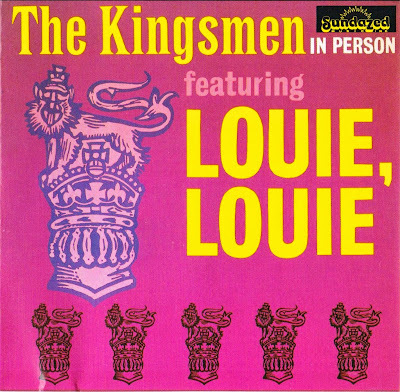 Among the cuts recorded was Louie, Louie. Recorded under extremely primitive conditions it gave them a No 2 in the U.S. and reached No 26 in the UK, although Paul Revere And The Raiders' version (recorded the same week in the same studio) actually faired better in the Northwest. Chase had originally persuaded Jerry Dennon to release the song on his own Jerden label but later the group were signed by Wand becoming the first white act on what had been an all black label. Louie, Louie sold over seven million copies legally and a few more were pirated. 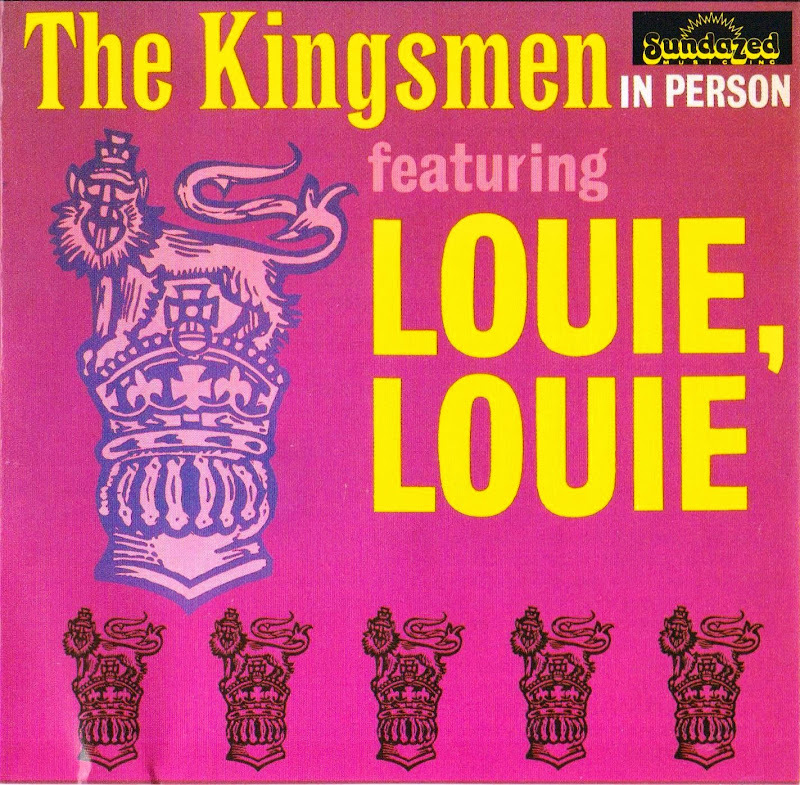 The Kingsmen were extremely successful enjoying eight singles in the Top 100 and five Top 100 albums in the Billboard charts, selling over 20 million records in all. Of their albums (1), (2), (3), (4) and (5) peaked at Nos 20,15, 22, 68 and 87 respectively. All five are now becoming mini-collectables. Lynn Easton left the group in July 1967, the remaining members soldiered on until September 1968. There was a reformation in 1972 (line-up D) - Freddie Dennis had previously played with The Liverpool Five - and later in 1982 (line-up E), although they played mostly for fun. Norm Sunholm set up the Sun Amplifier Company with his brother using The Kingsmen as a testing ground for their products. Jack Ely is still in the music business in Portland and, since leaving the band, Lynn Easton has hosted a teen dance show, worked in advertising and most recently as a printing salesman. The band's stature as America's premiere garage band shows no sign of diminishing. Don Gallucci, went on to fame by forming Don & The Goodtimes and later Touch.